Recently I had the exciting opportunity to be a Guest Blogger on “One Cool Site” I really cannot think of a more fitting and apropos title for a blog than that one. TimeThief is the very first author I ever perused here on WordPress – – and not a day goes by that I don’t pat myself on the back for having the good fortune (and good sense!) to have clicked that “Follow” button. She has taught me everything I needed to know about WordPress and blogging (plus many things I never realized I WOULD ever need to know!) And if you enter a word or blogging term on her Search Bar, you’ll catch your breath at the plethora of useful, well-written posts that will surface. If you haven’t been to her site yet, I wholeheartedly recommend that you visit now and immediately subscribe to her expertise! And now for those of you who think that “Commenting on Blogs has literally gone to the Dogs,” please do read on . . .
← Would You Date Casper the Ghost? Sorry, just saw this now! I presumed that people only left comments on the reblog at TimeThief’s website. We will always be in good company together, Joan! Yes, I have learned so much from her, stuff I never would have known. Glad you’re following too now! I was just passing by quickly and leaving you a brief sentence, but then TT’s comment on her blog dated August 11, 2014 at 10:16 am caught my attention, and I had to read the comments to find out why it was there. So then I read the comments there, and then here, and now I don’t have time to write anything more interesting than Great Job and I Loved It. I too have questioned the “one more comment” comment, like when I’m the 109th commenter. Should I or shouldn’t I? Most of the time, I do and can tell the blogger appreciates it. I first came to your blog somehow because of the Menopause thing (I’m a National Certified Menopause Practitioner). I am so very glad that most of your posts are NOT about menopause (or menstruation for that matter – loved your kids comment). You are my humor fix, thank you very much! Yay You! Because you are one of my very favorite readers/commenters and I definitely remember when you mentioned being Nationally Certified and my total surprise in asking you about that. Because who would have thought that title existed? So yes, I suppose when you live Menopause daily, you want to take a break from it in your blog, huh? But alas, the “Little Miss Menopause” thing seems to have stuck. I’ve asked her to change her moniker but she gets so moody about it. Once she promised she would, but then she had a hot flash and promptly forgot. As always, thank YOU for your support! Wow. 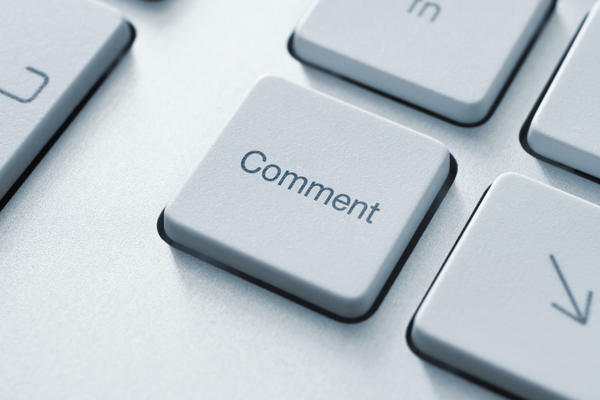 I really loved your post on there about commenting. I’m so glad you wrote that about madly reading through everyone else’s comments and also feeling like the transfer student. Those are definitely feelings/actions I can relate to on here. This whole blogosphere is definitely something that needs alot more instruction and I certainly have learned alot from your own blog (and this new post). Also very much enjoyed your kids’ take on if there had been blogs when you were a teen. Now THAT would’ve been quite the blog title! Thank you my friend. I see blogging as 1/3 writing talent, 1/3 tech/internet savvy, and 1/3 psychological health. And yeah, the part you cited about my kids was my fave line. But they didn’t really say that, I just made it up, then attributed it to them. Maybe i should do a post on how much of my blog people take as truth when it’s actually fictional fantasy going on in my head! Hey, NO FAIR making a post about how un-savvy I am when I’m ploughed under over here! 🙂 Just kidding. Was actually quite jealous that you had kids that clever…..mine would never have thought of that. Should’ve known it was yours…it’s got your style all over it. Will try and be more attentive to your humour in future! Great article Stephanie, and so resoundingly true. I, myself, have agonized in the comments section, trying to be witty and original and have also gotten terribly insulted by bloggers who do not respond to my comments. They are so important. Absolutely. It was a great piece. I think I fit into # 6 “It’s a Blog Eat Blog World”, but it’s okay. Your comments are always appreciated no matter how brilliant I am. In fact, I am so brilliant that I stand in front of the mirror, admiring the glow of my brilliance. Of course, you’re a little bit jealous. I would be if I came across my blog. Please don’t be envious. You know that basking in the glow of my brilliance will make you brilliant as well. See, it’s working already. I can already tell you’re becoming brighter. love it! Was waiting for someone to perhaps go that route and was kinda, sorta betting it would be you! I actually have a lot to say on the various points you make but maybe it could be another blog post?! Ha, thank you. Never saw that particular acronym before! And never would have guessed what it stood for. Is that a real one or did you just invent it? Thank you Maggie Mae, just thank you.